Our Offerings for Robotics - Robolab Technologies Pvt. Ltd. 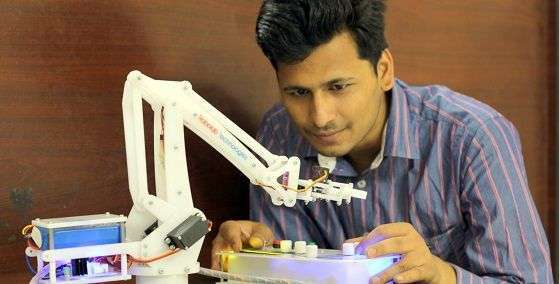 Through “Robolabs”, we intend to establish robotics and automation labs in engineering colleges across India. By leveraging our vast knowledge and experience, we expose students to the latest and advanced technologies, which are being adopted and used in today’s Industries, making them industry ready. Robolabs consists of Electronics Technology Section, Mechanical Technology Section,Pneumatic Technology Section,Vacuum Technology Section,3D Printing Technology Section,Industrial Robot,Miniature Industrial Production System (MIPS),Workbench and Instruments Section and Internet of Things (IoT). Robolabs are suitable for Science and Diploma colleges, engineering colleges, Technology Business Incubators (TBIs), Universities and Industries. ATL is a workspace where young minds can give shape to their ideas through hands-on do-it-yourself mode, and learn innovation skills. 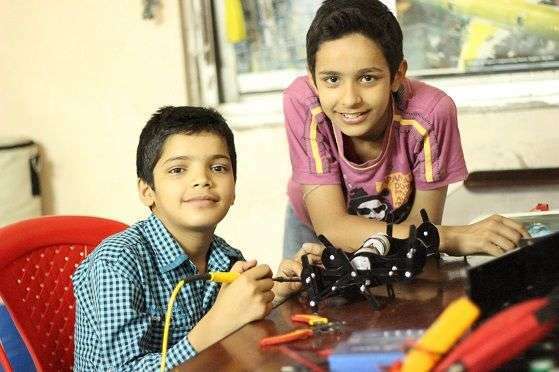 Young children will get a chance to work with tools and equipment to understand the concepts of STEM (Science, Technology, Engineering, and Math). ATL would contain educational and learning ‘do it yourself’ kits and equipment on – science, electronics, robotics, open source microcontroller boards, sensors and 3D printers and computers. Other desirable facilities include meeting rooms and video conferencing facility. ATL is an immersive, active, and creative place within the school where students become deeply engaged in an investigation of scientific phenomena, and make something. We want to encourage the ability to think with the hand and learn by doing. We plan to have a large, eclectic assortment of materials, tools, and technologies. It will be a space for experimenting with science, art and technology through delightfully interdisciplinary and applied ways.